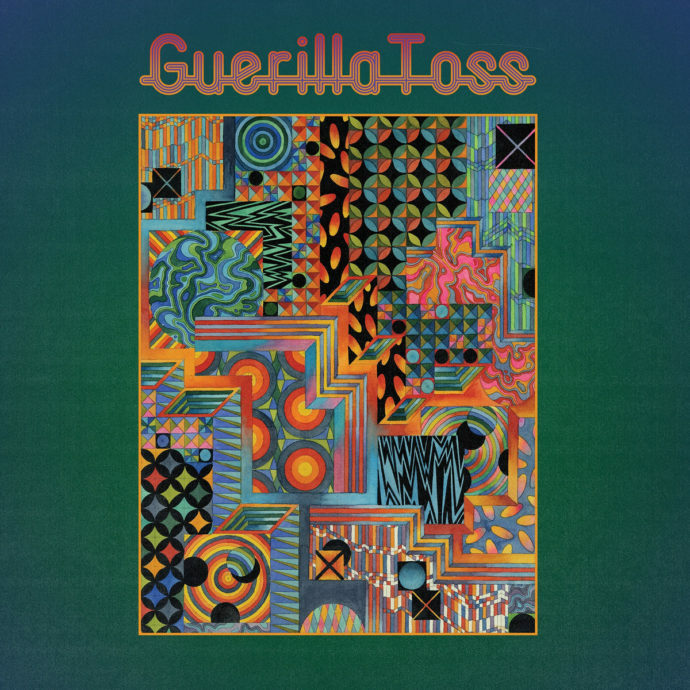 For a band who only started releasing albums six years ago, New York (by way of Boston) art rock band Guerilla Toss has racked up an impressive discography. To date, the quintet has released seven EPs, six LPs, and a live album. Twisted Crystal is their latest full-length for DFA Records. The bulk of Twisted Crystal finds Guerilla Toss utilizing psychedelic synths and warped guitars over a rhythm section that competently swings from straightforward rock drumming to danceable grooves from song to song. Vocals are provided by Kassie Carlson, a confident singer whose style at times conveys a sense of both urgency and ennui and is best described as idiosyncratic and bratty. Throughout much of Twisted Crystal, Carlson appropriates a sing-speak style which quickly becomes tiring a third of the way into the record. The lyrics are often ridiculous and lazy. “I want to be natural, meteorological,” Carlson sings over and over on “Meteorological”. During the chorus to a song titled “Walls of the Universe”, Carlson sings, “The walls of the universe are so very, very, very high.” Perhaps if you’re only tuning in to vibe out to the trippy effects you can overlook the simplistic writing. There are only a couple standout tracks on Twisted Crystal and they appear during the album’s second half. The DEVO-esque “Come Up with Me” is fast and fun and manages to temper the psychedelic synths with a snazzy lead guitar running through most of the song. “Jackie’s Daughter” is another highlight. Over a retro-sounding drum track that combines a disco beat with reverb-heavy handclaps, synthetic toms, and a funky bassline, Carlson sings lines like, “Go, go, go, no, no, no” and “Look out Jackie, Ash has got a daughter,” or something like that. Regardless, the song is Twisted Crystal’s finest moment. Twisted Crystal is only nine songs long and has a playing time of under thirty minutes. If you’re looking for a short album to put on after you and your friends are zonked but still have enough energy and ambition to dance to bubbling synths and mindless lyrics, then look no further. If, however, you’re looking for something with a bit more length and substance, maybe skip Guerilla Toss’ latest.